Whiplash, a common side effect of auto accidents, can also result from sports participation and other physical activities. When whiplash-related pain doesn’t resolve on its own, the experienced chiropractors at River Oaks Chiropractic Clinic in Fort Worth, Texas, offer customized solutions for pain and mobility issues. Whether you need manual neck adjustments or acupuncture, the compassionate team of chiropractors can design a treatment plan just for you. Schedule an evaluation of your whiplash injury today by calling the office. Whiplash is a neck injury that results when your head moves back and forth quickly and with force. This type of injury most often happens due to falls, auto accidents, and sports-related activities. In some cases, you can also feel very tired or dizzy following the injury. In severe whiplash injuries, it’s common to experience memory loss, difficulties concentrating, and vision problems. When should I seek help for whiplash? For some people, over-the-counter pain relievers and anti-inflammatories combined with rest alleviates the pain and stiffness of whiplash. But if you don’t see noticeable relief from your pain and other symptoms within 2-3 days after the incident, you should schedule an evaluation with the skilled chiropractic team at River Oaks Chiropractic Clinic. The team can evaluate your level of pain, the range of motion in your neck, and any other symptoms that interfere with your mobility. Your River Oaks Chiropractic Clinic provider creates a custom treatment plan to relieve your pain in the long-term and prevent your injury from getting worse. How does chiropractic care treat whiplash? Several treatments can improve the health of your neck. Chiropractic manipulations can help resolve side effects of whiplash, alleviating dizziness and muscle weakness. The skilled chiropractic team at River Oaks Chiropractic Clinic also offers alternative therapies like acupuncture to relax muscles in the neck and back and alleviate whiplash-related pain. Cold laser therapy can be useful in relieving whiplash pain. This treatment uses light energy to painlessly heat soft tissue below the skin’s surface, improving blood circulation. With more blood flowing to the area of the injury, you can expect faster, more effective healing of damaged neck muscles. Your provider might recommend that for a period of time you limit strenuous activities that can worsen your injury or your symptoms. They can discuss how often you should schedule chiropractic treatments to improve the health of your neck and prevent additional injuries. Don’t delay evaluation of a neck injury like whiplash. 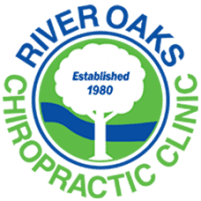 You can schedule a consultation at River Oaks Chiropractic Clinic by phone or using the online booking feature today.